Choosing a water heater installation and repair services company for multi-family residences, apartments, HOAs, condominium complexes and other types of home rental properties is an important decision for a property manager, in order to maintain and effectively manage hot water needs for multiple tenants while remaining cost effective for property owners. We offer 50+years of dependable residential and commercial water heater experience, serving and supporting rental property managers with water heater repairs and replacements by providing honest and reliable repair vs. replacement information, water heater model choices and installation options, and Preferred Client rates that work with your business budget in the rental and real estate management industries. Because you are busy managing multiple units, our program offers a simple sign-up that is easy and convenient. After simply completing our Preferred Client sign up form. We will contact you to review any vendor agreements and/or complete any vendor documents that you might require. Then once you agree to our billing terms we will set up a Preferred Client account for you. Some information we will request include, the company name, billing address and invoicing details. We take note of your management preferences, such as; days and times you are available, after hours authorization contact information and any other specifics you would like. We include your information in our system and you are now a Water Heaters Only, Inc. Preferred Client. Any time the need arises, you simply send over a work order to us, 24 hours a day, 7 days a week, and we will set the appointment according to your Preferred Client preferences. We will meet with you – the property manager and/or property owner and/or the tenant or whomever you have designated, at the on-site location. The moment we arrive on site and review the hot water heater issues, we will provide you with the details of the job and our recommendations to receive authorization for the work. You can count on effective and reliable commercial and residential hot water heater repairs, replacements and installation services for gas, electric, tankless and high efficiency water heaters. Special Rates for Property Managers– Along with our prompt and professional attention to serving your hot water heater needs, we provide special discounted rates on all of your continued service and installation needs from the very first call. Property management companies that signup as Preferred Clients (sign up here), save money for the company and the property owner. Availability-We understand you have on-going hot water heater service needs, and we are ready to help anytime-that’s why you can call us 24 hours a day, 7 days a week and 365 days a year. Call us at 1-866-946-7842 whenever you have an emergency water heater issue for a tenant- we answer your calls in the middle of the night! Water Heaters Only, Inc. is the quick, professional service a property manager can rely on. Work with a Team You Can Trust– From emergencies to maintenance repairs and completely new water heater installations, we service and install traditional tank, tankless, high-efficiency and commercial hot water heaters. Water Heater’s Only, Inc. is the secure and dependable hot water heater service provider. Top quality products are important to our way of operating business. Using only approved parts and high-quality water heaters is our guarantee. All our repairs and replacements are compliant with current city, county and state plumbing code requirements to ensure the safety of you and your tenants. Our integrity matters. Property Manager Performance – Protect the property owner’s interests by avoiding costly tenant unit repairs from leaks or water damage due to an old water heater or aged and worn out water heater parts. New water heaters can also improve utility savings for tenants. We are industry competitive and work with you to fit your property management maintenance budget. Avoid Property Loss and Damage– Protecting the property owner’s investment by having your water heaters serviced or older units replaced can avoid costly tenant home repairs from leaks and water damage. We always make repairs that are designed to help sustain the normal lifespan of your water heaters, while supporting the bottom line of your budget. Saving Money with Improvements– Replacing an old water heater can provide significant energy savings over time. New water heater installations are a wise investment for your long-term residential tenant units. The government often provides rebates for property owners when they install certain energy efficient appliances such as new hot water heaters. Commercial real estate property owners are subsequently investing in the environment and saving the tenant money in the long term. Happy Tenants & Prospective Tenants- Word Gets Around! You take pride in offering rental homes, condos or apartments that are highly sought after because they are quality, well-maintained properties and the management service is highly respected. Preferred Clients always know they can count on us- service for a tenant unit is one call away, ensuring that your tenant’s kitchens, bathrooms and laundry rooms will be served with hot water whenever they need. Fast, effective hot water heater repairs and replacements support your quality reputation as a property manager and also keep the tenants happy. In turn, prospective tenants come to hear that you take care of any problem right away, so that the tenant has as little inconvenience as possible, making your units one of the best places to live. Why Choose Us for Your Property Management Needs? 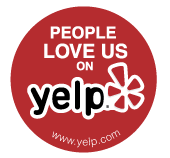 Check out our THOUSANDS of happy customer reviews! What sets us apart from other types of plumbing services? We provide one specialized service- thus our name, Water Heaters Only, Inc., and we do it well. Our 51+year industry expertise and commitment to serving our customers with excellence is something you can place confidence in for all your properties. We are professional service providers for Preferred Client property management companies and the real estate industry throughout California, Phoenix, AZ. and Dallas, TX. We are proud members of Angie’s List, The National Association of Residential Property Managers (NARPM), the California Apartment Association, the California Association of Community Managers (CACM), San Diego Area Realtors and the Institute of Real Estate Management (IREM). If you need a reliable quality water heater service company that you can include in renter’s brochures for repairs or emergencies, we at Water Heaters Only, Inc. would be honored to be part of your property management materials. Feel free to contact us 24/7/365 1-866-946-7842.